At Baked By Susan we offer a fresh and diverse selection of traditional to eclectic baked items, perfect for that morning commute! We have a lot of regulars who stop by our bakery near Cortlandt Manor for a coffee and breakfast. Breakfast gets you off on the right foot, packs you full of energy. Work hard, play hard, but first stop by our delicious bakery near Cortlandt Manor and grab fresh breakfast to stay or to go! Hungry for something yummy? We aim to please! We’re always up to something, whether it’s new flavors, seasonal recipes or special events. So, come visit Baked By Susan and find out what truly makes breakfast the most important meal of the day! 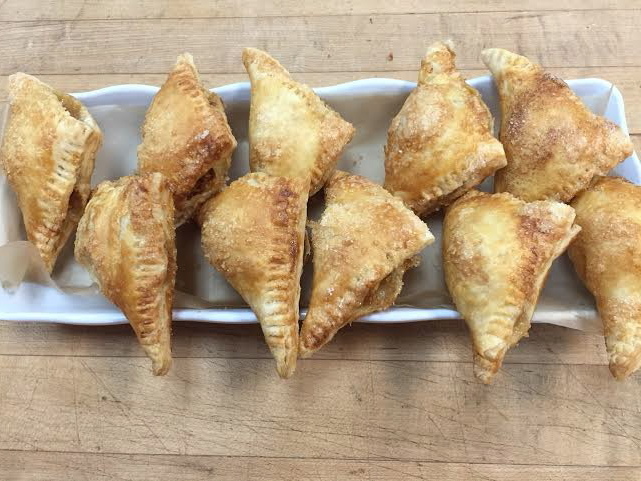 Of course, we don’t only do breakfast; All Baked by Susan baked goods are made from scratch using all natural, local ingredients, and fruit in season with no preservatives. From cakes to cupcakes, muffins to scones, brownies to blondies, pies to tarts, tea breads to savory breads, cookies to biscotti, each is expertly made fresh daily, batch by batch. Come enjoy a fresh baked scone and a cup of Black Cow coffee. How about a Cinnamon Bun, Blueberry Muffin, or a freshly baked Apple Turnover? And then, there are our cookies, cakes, cupcakes and brownies, all of which are available in small or large platters, as well as individually. Filled Double Layer Cakes iced with Buttercream and filled with your choice of filling: Mocha Icing, Lemon Curd, Lemon Mousse, Chocolate Mousse, Chocolate Ganache, Pastry Cream, Chocolate Pudding, Raspberry Preserves, Raspberry Buttercream, Strawberry Buttercream, Whipped Cream. Mmm…aren’t you getting hungry just thinking about it? Oh, and we were voted Best Cupcake by Westchester Magazine 2015, just FYI. And, just in case you need yet another reason to visit Baked By Susan, your bakery near Cortlandt Manor, pies! Lots and lots of pies! We offer a wide variety of quality pies for farmers’ markets, retail bake shops and the food service industry. Our pies are made by hand, from scratch every single day. We use only unsalted butter, flour, water and salt for our crust and we use local fruit in season whenever possible. Trust us, you will see and taste the difference! If all of this is making your mouth water (and we hope it is) contact us at: 914-862-0874 to see what we can create, just for you! We promise, come in and try us one time, and we will become your favorite bakery near Cortlandt Manor!